Let's face it, this great game of ours is nothing without goals and early on in the season I'm starting to think that scoring might be a bit of a problem for Ardija. In all of our games so far, we have only scored more than one goal in a game on one occasion and that was in the only game of the season we have won so far, away to the bottom of the league side Albirex Nigata. In the league game against Tokyo we played well enough to win but failed to take any of a number of chances, then home to Yokohama we took the lead but ended up with a draw in the Nabisco, home to Nagoya we grabbed an equalizer hanging on for a draw and away to Sendai we got a nice early lead which we failed to build on and crumbled in the 2nd half. So where are the goals going to come from? Rafael looks out of form, Cho will provide goals but is he going to get 20 goals a season. I don't really know but I have my doubts. I'm not expecting to see hat-tricks at the Nack5, but I'd love to be proven wrong. Finding goalscoring stats out is difficult as I don't read Japanese but I'll try and find some for our forwards and see how they look. I don't imagine they'll make good reading. The lack of goals of course has a knock-on effect on our defence, putting them under real pressure to hold the opposition out for 90 minutes because they know we are unlikely to get 2 goals at the other end. 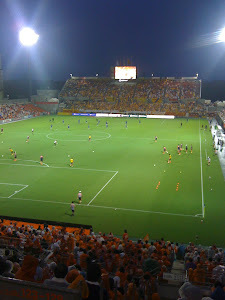 Omiya have got used to fighting against relegation and winning that battle for several seasons. You might say that they are very experienced in these matters, to the extent that I was fairly confident towards the end of last season that we would stay up. The team just seems to know what to do when the going gets tough late on in the season. Are we the Wigan of the J League? The question always remains for how long can we just continue to survive. A 20 goal a season strike would surely help ease the battle for J1 survival.